Smart Infrastructure is emerging on all major segments of the economy and as a unified 21stcentury megatrend. 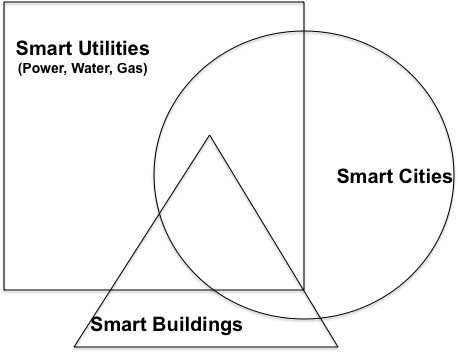 Smart Utilities have emerged as a large megatrend of the 21stcentury and they service one or multiple cities and communities throughout their services territories along with many commercial, industrial, and residential customers. Smart Cities are emerging as another large megatrend in the 21stcentury, which own many buildings and service citizens and visitors in many open spaces, roads, buildings and homes. Smart Buildings, a large megatrend of the 20th century is transforming again, are finally getting actively integrated with Smart Utilities and being actively planned and managed by Smart Cities. Positive Energy Buildings is a key 21stmegatrend. As these trends are coming together at a very fast pace, the possibilities for innovation, shared infrastructure, cost reductions, new business models and unrivaled customer experiences await to be discovered. CMG has put together the very first Digital 360 Summit™ that brings together top minds per field of expertise and tackle the obvious and sometimes hardest problems. This invitation only event is created to bring you as an expert and also as a user of many other products and services to collaborate like never before with others and have a dialogue that drives new paradigms, experiences, technologies, business models and solutions into the marketplace. CMG will create a white paper per panel with the new key ideas/solutions, issues, and takeaways. CMG will anonymize all commentary and will not embarrass or print anything that would put any speaker and/or company at risk. All content selected for the white papers will be cleared with the appropriate participants.